Update: A Chipotle spokeswoman said the Silverdale opening has been pushed to Saturday, March 12. Another wave of stores are set to open next month in The Trails at Silverdale shopping center. Chipotle Mexican Grill will debut March 10, according to a spokeswoman. 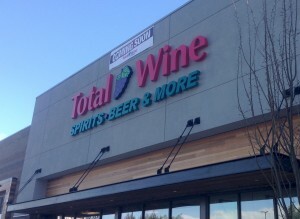 So will beverage retailer Total Wine and More. MOD Pizza, a Seattle-based, made-to-order pizza chain, expects to launch its Trails location March 18. The county has issued tenant improvement permits to Corner Bakery Café, Forever 21, Verizon, DSW and Sleep Number, allowing those companies to begin outfitting their stores. A representative for developer CenterCal Properties confirmed Old Navy also is planning a Trails store. Silverdale Smiles Dentistry was the most recent business to open at the Greaves Way shopping center, joining Blazing Onion, Homegoods, Ulta Beauty and AT&T. Centercal has yet to announce tenants for a few remaining retail spaces, including a planned grocery store. The developer began work on The Trails in August 2014. 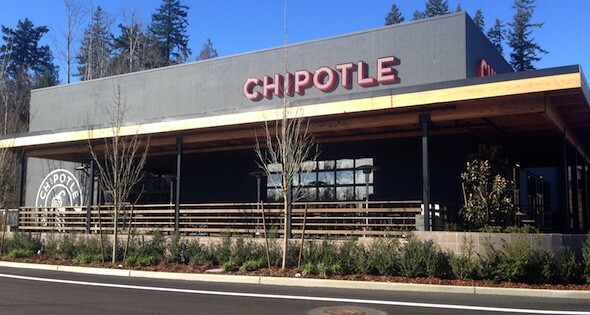 The opening of Chipotle — the first west of Puget Sound — has been highly anticipated since it was announced last summer. But the chain’s reputation took a beating this winter as a series of E. coli and norovirus outbreaks were linked to its restaurants. According to the New York Times, Chipotle turned to food safety specialist Mansour Samadpour to overhaul its safety protocols. Samadpour is a familiar name in Kitsap. He owns prominent properties in downtown Port Orchard. Chipotle is posting food safety information here.